It’s time for the final table of the 2018 Unibet Open Malta €1,100 Main Event! A field of 273 players has been whittled down to the last 9 hopefuls and the InterContinental Hotel in St. Julians sets the stage for a final day of intense poker action. All nine survivors have at least €5,750 locked uo for their efforts, but the lion’s share of the €273,000 prize pool is still to be divided, including the €60,090 first-place prize that awaits the champion. Starting from pole position is Dutchman Alex Brand (2,043,000), who resides on this very island. Brand has $66,983 in lifetime winnings and a win here would more than double that amount in one fell swoop. 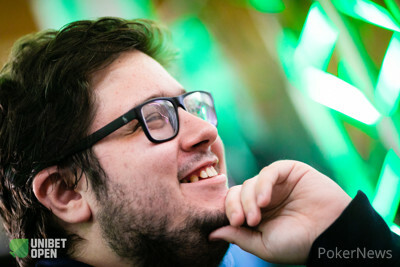 Second in chips Julien Stropoli (1,648,000) has already scored a career-high cash by reaching this very final table. For each of the nine players, a win here would be the best poker accomplishment of their respective careers. The other remaining finalists battling for the coveted moniker of Unibet Open champion are Henri Piironen (1,070,000), Kristof Segers (993,000), Jan Eckert (638,000), Daniel Jacobsen (586,000), Roberto Morra (557,000), Ilkka Heikkila (335,000) and Nicolas Ludwicki (304,000). There’s 29:17 left to play in level 20 with blinds at 10,000/20,000 and a running ante of 3,000. Levels last 60 minutes each up until the final six, on which they will be shortened to 45 minutes. In heads-up play, the level duration will be shortened to 30 minutes to create more action in the final stage of the day. Cards are back in the air at approximately 12 p.m. noon local time. PokerNews will be on the floor from start to finish and publish all live updates in accordance with the Unibet Poker Twitch stream, which will be with hole cards displayed on a security delay of 30 minutes. Stay tuned and don’t miss any of the excitement as we crown our champion today!